H.R. Phillips came onto the intellectual scene rapidly in late 2006 – with his unusual and sometimes esoteric material becoming a favorite of great websites such as Anomalist.com. 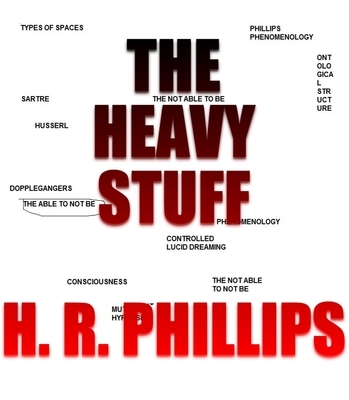 Indeed, the material of Phillips is timeless, quite extensive, and involves nearly every type of anomalous idea such as UFO’s, time travel, phenomenology, missing time, consciousness, Orbs, death, EVP, shadow beings, Tulpas, doppelgangers and more. PARANORMAL VIDEOS – DUBIOUS OR AMAZING? DO FRUIT FLYS HAVE FREEWILL? DO HUMANS? MIGHT `ORBS’ BE INDEED `DEAD’ HUMAN BEINGS? UFO DISCLOSURE – ASTEROID IMPACT DISCLOSURE – WOULD SOCIETY CRUMBLE? DOES `STRANGE HIGHNESS’ OVERLAP HIGH STRANGENESS? IS OUR EXISTENCE `SIMULATED REALITY’? OR IS IT, `REALITY SIMULATED’? COULD `CAMERAS’ BE CAPTURING – OR ACTUALIZING – A VIRTUAL REALITY? COULD MARS POLAR LANDER HASTEN DISCLOSURE? BIGFOOT IN MY FREEZER – IS UFO IN MY BARN NEXT? COULD AN OCTOBER 14TH ALIEN CRAFT DISPLAY BE A COLLECTIVE LUCID DREAM APPEARING IN SPACE? [< Back] [Rick Phillips Blog Postings] [PermaLink]?